BaxTek wants to be your RFID supplier of choice for RFID technology implementation. As your RFID vendor BaxTek Solutions has the experience to help you with multiple RFID applications and RFID services. These include RFID smart tags, RFID labels for asset tracking, RFID software & RFID printers with experienced technical support. 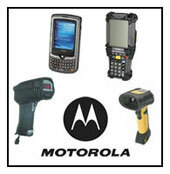 We offer products from leading RFID manufactures such as epcSolutions, Symbol, Zebra, Intermec and Datamax. A technology platform that uses RFID or barcodes for asset management, FixedAssetManager provides an efficient, inexpensive method to track fixed asset inventories of capital equipment, computers and furniture. FixedAssetManager uses a network of location based RFID fixed readers or mobile RFID handheld readers to track RFID tagged assets. RFIDTagManager allows Wal-Mart, Sam's Club, Best Buy and DOD suppliers to easily meet latest RFID requirements for tagging products being sent to RFID enabled locations as well as creating the DoD required electronic Wide Area Work Flow documents for those transactions.